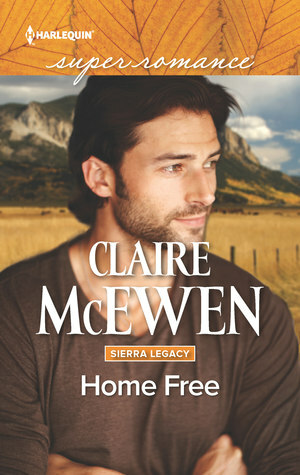 I’ve had the pleasure of reading all of the books in Claire McEwen’s “Sierra Legacy” series and enjoyed watching both of the previous Hoffman’s heal and find their happily ever after, but with her latest installment in the series, HOME FREE, my favorite sibling was discovered! Arch was raised in that same horrible childhood that Nora and Wade came from, but he let himself go towards the bad, ugly side for a long time instead of knowing it was wrong like his younger siblings did. He eventually realized there was more to life than being a bad guy, and decided to change his life. He sacrificed himself in order to pay for his sins, and then had to learn how to pick up the pieces afterwards. What a strong message this book brings! None of us are perfect, and some are just pure evil, but there’s never a day until your last where it is too late to have regret and actually care to make a difference going forward. Great book! After paying for his crimes, Arch Hoffman makes his way back home to Benson to figure out where he goes from here. Picking himself up from the past is going to be a long road, and he isn’t sure he has the skills to get there yet … but he sure is going to try! Running across Mandy Allen on his first day back into town turns into just the motivation he needs. She’s sweet, innocent, pure … and he loves the peace she brings to his mind when he’s around her. She has her own demons she’s trying to find a way to move on from, so the kindness they both show to the other, has a healing effect on them both.